It’s been a busy half of term. There have only been a few weeks, but the weekends have been full of school-related activities and if they have not been happening it has probably been because of another popularly-named storm making itself unpopular with the populace, and any garden-related activity virtually impossible. So on Friday I broke up for half term and, before packing my bags to take my daughter back to Liverpool and my black labrador to Arran, I did manage to quickly throw some chilli seeds and – more importantly – some tomato seeds into some trays. This was in an effort to get early germination and (hopefully) avoid the sumer-long needling from Mrs B about how late our tomatoes were compared with those down in the village. We’ll see. Earlier, before school, I had laid our seed potatoes out in the morning – yes the perfect way to prepare for the day: chit, shower and shave. 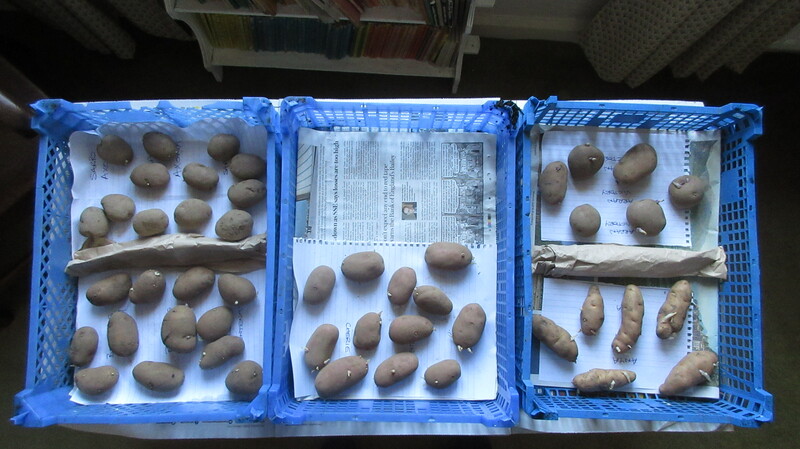 Potato Day had been a week or two earlier and I had been rather slow in get my littler chitters out of their bags. Well, they weren’t going to get good strong shoots in a brown paper bag were they? (No chit Sherlock). 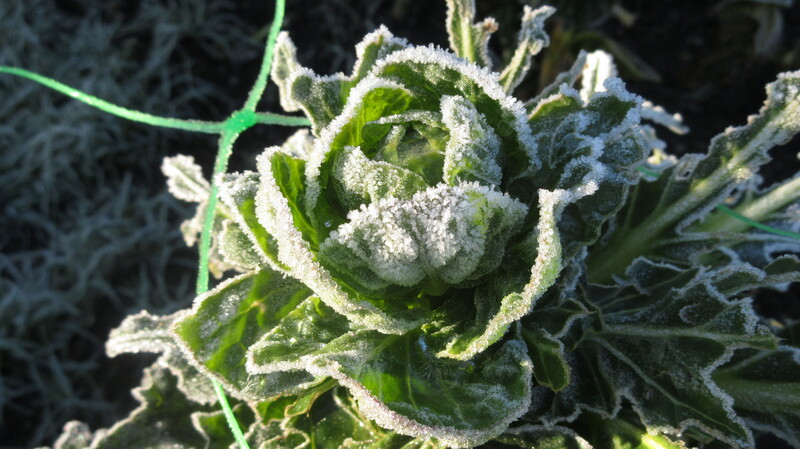 This year we have gone for some regulars: Bell de Fontenay, Cherie and Anya; we have had to change our Sarpo as they did not have Una, and we have gone Axona for the blight-resistant main crop, and this year’s “guest Spud” is Arran Victory – named in 1918 for apparently obvious reason. So I have driven north feeling that stuff can be going on in my absence.